This is a city with an intense atmosphere of mystery and intrigue. A day in Venice is worth a week elsewhere. It is packed with incredible buildings, jumbled together on either side of the Grand Canal. Landmarks such as St Mark’s Square, the Doge’s Palace and the church of Santa Maria della Salute are all steeped in history and the events and lives of the past. You absolutely know that there are a thousand stories hidden beneath the bridges, along the canals and inside the decaying palazzos and you wish that someone would write them down so you could lose yourself in this mysterious city all over again once you’re back home. Thankfully there are plenty of authors who have done just that. In a world of violence and intrigue, who guards the truth?It is 1498, dawn of the Renaissance, and Venice teems with rumors about an ancient book believed to hold the secrets of power–alchemy, love, and even immortality. Some will stop at nothing to find it; others will die to protect it. As intrigue grips Her Most Serene Republic, Luciano, a light-fingered, streetwise orphan, gets caught up in the madness. The doge’s enigmatic chef takes him into the palace kitchen as an apprentice, where he is initiated into the chef’s deliciously mysterious world–itself alive with dangerous secrets. After Luciano witnesses an inexplicable murder, he embarks on a perilous journey to uncover the truth. What he discovers will test his loyalty, show him the dark side of men’s souls, and threaten his love for an audacious convent girl. But it will also swing open the shutters of his mind, and leave an indelible mark on his soul. From two masters of dark fantasy comes a chilling tale of magic and possession, set in—and beneath—fabulous Venice, a city slowly being swallowed by the very waters that have made it one of the wonders of the world. Geena Hodge is an American archaeologist working to salvage Venice’s past from the encroaching Adriatic Sea. When she and her lover, Nico, discover the lost library of Petrarch under the Piazza San Marco, they rejoice not only at the historical significance of the find but at the opportunity to bring worldwide attention—and much-needed funding—to their endeavors. 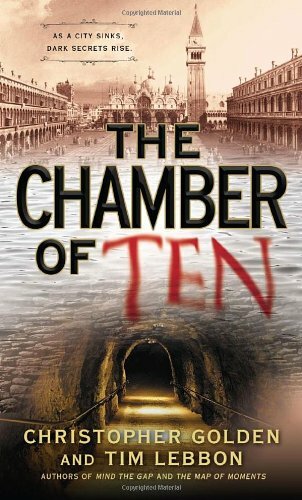 But that find soon leads to another, a room buried more deeply still: the fabled Chamber of Ten, where centuries ago the secret rulers of Venice, in their quest for absolute power, met to plot betrayals and murders. After entering the Chamber, Geena and Nico are thrust into the midst of an ancient feud, a deadly battle of wills and black magic that threatens to poison the city’s future with the evils of its past. It’s the beginning of the 20th century; the age of scientific progress. But for Venice the future looks bleak. A conference of scientists assembles to address the problems, among whose delegates are the parents of twelve-year-old Teodora. 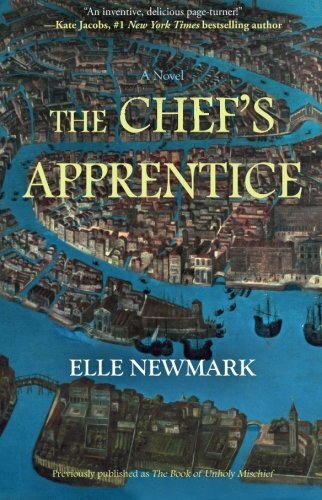 Within days of her arrival, she is subsumed into the secret life of Venice: a world in which salty-tongued mermaids run subversive printing presses, ghosts good and bad patrol the streets and librarians turn fluidly into cats. A battle against forces determined to destroy the city once and for all quickly ensues. 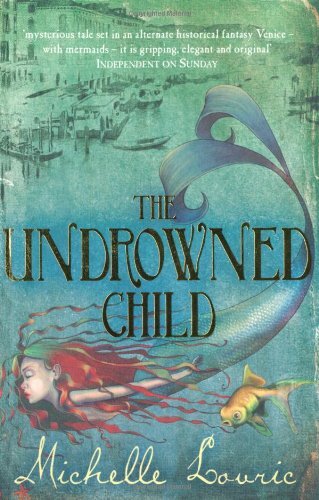 Only Teo, the undrowned child who survived a tragic accident as a baby, can go ‘between the linings’ to subvert evil and restore order. Venice has been Lydia’s home for many years, a place where she has found peace and fulfilment. Then one day she glimpses a young man’s face in the crowd that threatens to change everything. 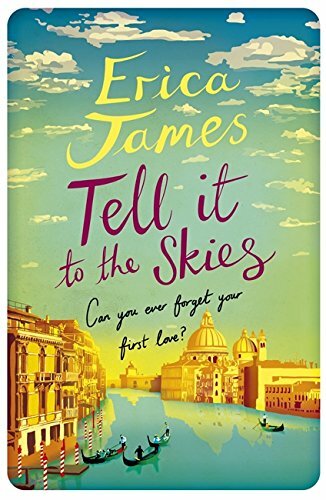 He’s a heart-stopping reminder of a dreadful secret she believed she had banished to the past… As a young child, Lydia and her sister were sent to live with grandparents they’d never even met before. It was a cruel and loveless new world for them and it forced Lydia to grow up fast. She learned to keep secrets and to trust sparingly, and through it all she was shadowed by grief and guilt. Now, twenty-eight years later, Lydia is persuaded to leave behind the safe new life she has created for herself and return to England to face the past. And maybe her future. 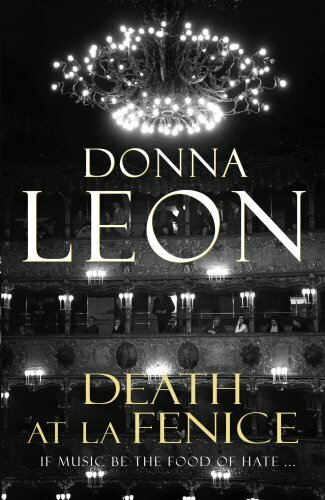 Find more novels set in Venice at Yonndr.com. Use the advanced search to tailor the list to your favourite genres and time periods. If you enjoyed this post please share it with your friends and follow us on Twitter or find us on Facebook. Posted in Uncategorized by hharbord. Bookmark the permalink.